Ideally, our home should be a safe haven for us to relax and rejuvenate after a tiring day at work. It should be a place full of happy memories such as sharing a full meal with family and friends. A healthy home is the foundation of a healthy lifestyle while ridding the house of any unnoticeable hazards caused by outside pollutants along with the dust-collecting clutter that we sometimes adorn our houses with. A lot of individuals consider cleaning as a necessary evil that needs to be done only to find themselves rushing with this task. However, a cleaner home provides numerous benefits than just a presentable place. How you clean and what you decide to use in cleaning could help in reducing the medical problems brought on by a dirty and cluttered home. 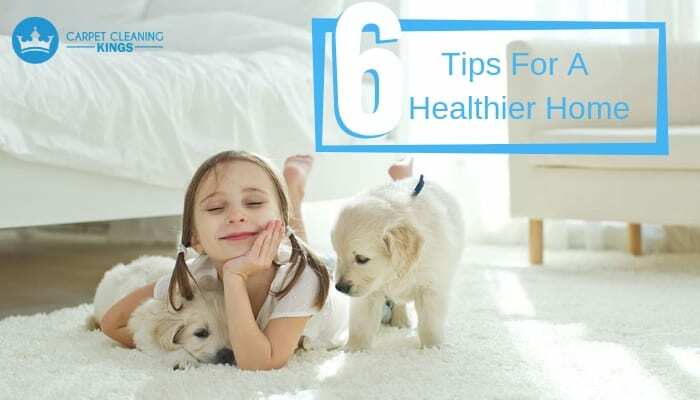 Let’s go over Carpet Cleaning Kings’ 6 tips for a healthier home. A natural and environment friendly cleaning product could help you in create a healthier home for you and your family while producing efficient and breathtaking results. Your all time favorite grocery store might offer you with a number of eco-friendly cleaning options to choose from but you want to look for an all-purpose eco-friendly cleaning product as it is more capable of providing you with better results compared to regular cleaning products. Our carpet cleaning experts only use eco-friendly cleaning products to ensure clients of the best cleaning results while working on anything tough surface stains that your home might have. This should be something that not only an eco-friendly home would dedicate themselves to. In fact, every homeowner should dedicate themselves to keep bathroom drains free from hair and kitchen drains free from leftover food. If you usually cook with oil, then you should start to pour a pot of boiling water down your kitchen drain at least once a week. A heavily clogged drain could cause a number of health hazards not only for you but for your family as well. Whenever the drains inside your home get clogged, try out a plunger as it is the most safest and easiest solution. If you still need more unclogging power, then you can try pouring a half cup of baking soda down the drain followed by a half cup of vinegar then covering the drain accordingly. The foaming action brought on by the baking soda and vinegar should be enough to clear your clogged drains. Wooden Surfaces are prone to stains from liquid steam and is usually white or light colored. But no homeowner would ever want to see their wooden floors to be stained. Aside from being a pain in the eye, stained wood is quite hard to clean. Using a combination of olive oil, clear vinegar and water should help you clean out any stains or spills that are evident in any wooden surface inside your home. For wooden floors, try diluting ¼ cup of vinegar in 4 liters of hot water to clean out the stains. Homeowners should take good care of the people who belong to their household. They should occasionally check the medicine cabinet and label medications according to their date of expiry. Any expired medicines should be discarded along with old prescription medicines that are no longer in use. By organizing your medicine cabinet, you’ll significantly reduce the risk of you and your family falling victim to medication errors and gain additional storage. Do you know that the air you breathe indoors might become more polluted than the air you breathe in outside your home? Surprising as it might sound especially for people who spend most of their time inside. Indoor air pollution is one health hazard that could greatly cause problems for your family. To improve the air quality inside your home, you should regularly open your windows. As a stagnant indoor environment could cause a buildup of pollutants especially in a well insulated home. Additionally, you should vacuum your home at least every other week to keep dust under control. This would ensure that mites and bacteria would have no room to accumulate. 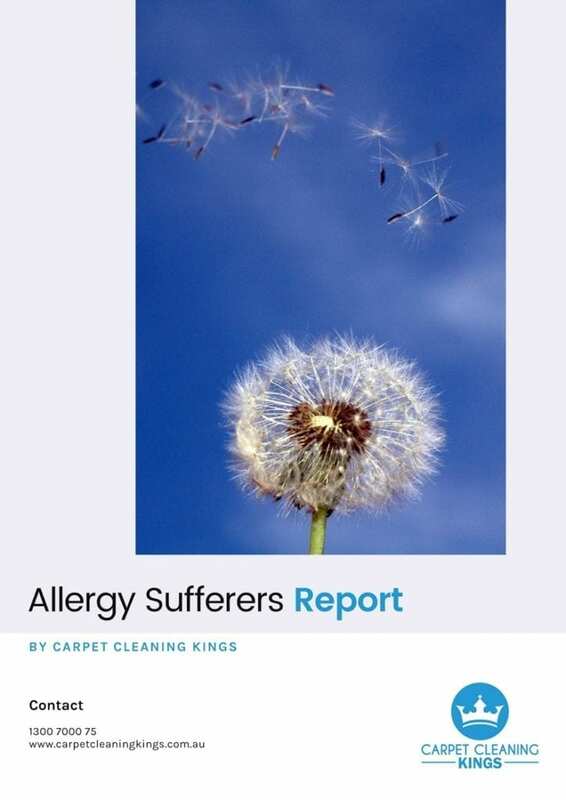 Homeowners usually invest in a carpet to adorn their homes with not thinking of the ways that carpets could become a hazard for the health of their loved ones. So, stop neglecting your carpet and the rugs throughout your home and pay close attention to it as they need to be cleaned thoroughly at least once a month. Deep cleaning your carpets would get rid of any unruly stains and allergens trapped in the fibers of your carpet. Ensuring you of a healthy environment where you can start creating happy and memorable experiences with your family and loved ones. I hope this guide has helped you create a healthier home for you and your family. 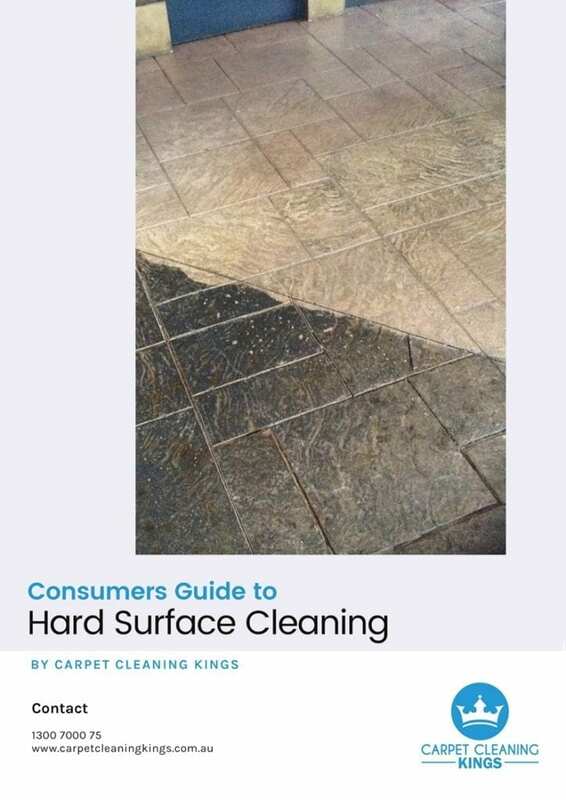 If you’ve already followed the tips mentioned above and just find it hard to deep clean your carpets, then why don’t you go ahead and let Carpet Cleaning Kings do it for you. 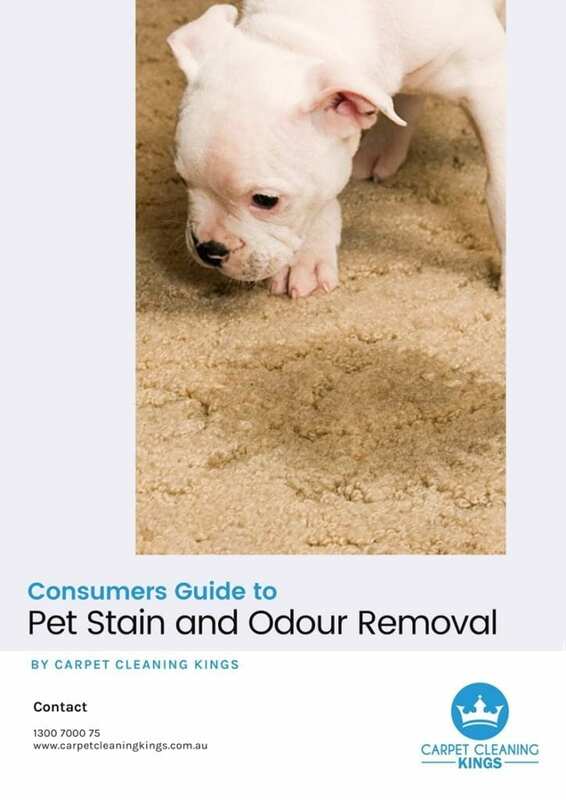 So you can enjoy a healthier home with a thoroughly cleaned carpet. Pause for a while and learn to make use of the modern conveniences that we are currently granted and start to create a healthier home that is free from harmful chemicals, bacteria and germs. So you can continue to enjoy the comforts brought to you by a healthy and clean home. 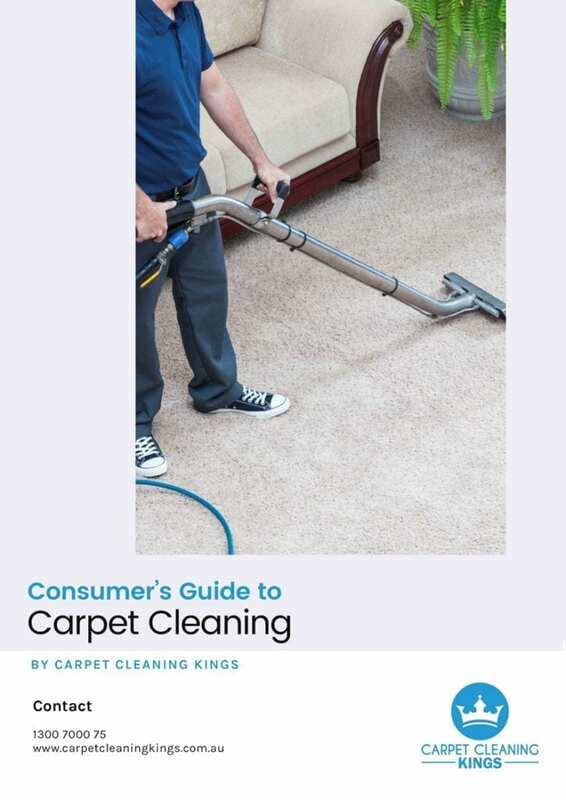 If you need a professional carpet cleaner for your carpet cleaning needs, the cleaning experts at Carpet Cleaning Kings are capable of taking on any carpet cleaning woes that you might have. So you can just sit back and relax knowing that a professional is working on your carpets. Carpet Cleaning Kings is the leading carpet cleaning expert throughout Brisbane and its surrounding areas. 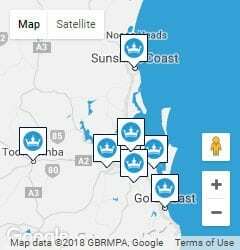 For expert carpet cleaners, call us at 1300 7000 75.